A onesie is a single article of clothing; a one-piece garment that has sleeves and legs covering the entire body. This term is commonly used to denote sleepwear or loungewear for all ages, basically catering for infants and adults alike. The most common material used to make these are cotton, chenille (fabric made from the fur of the caterpillar), or fleece. 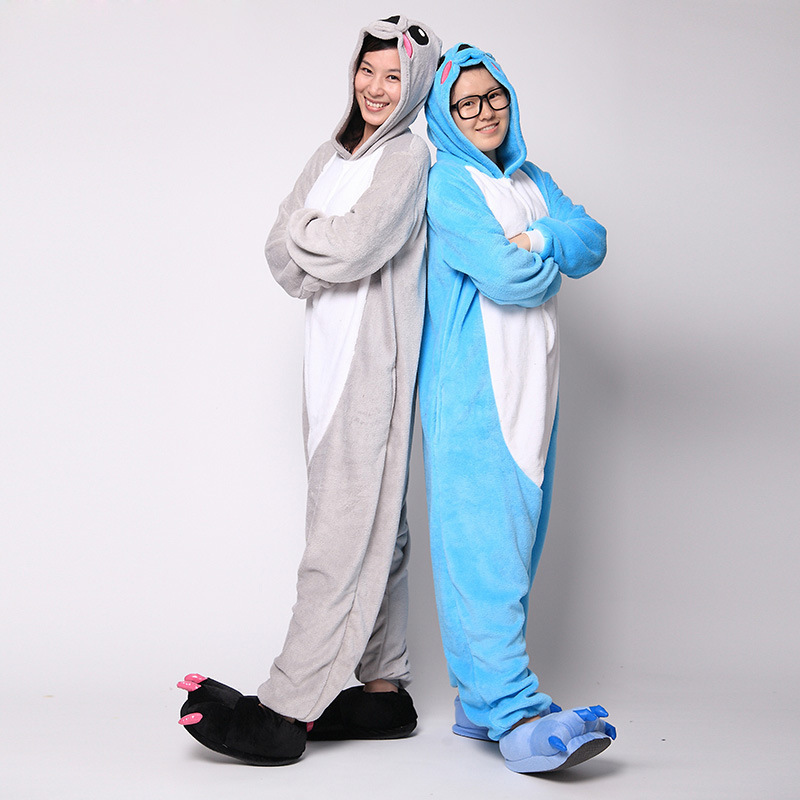 There are many benefits of Onesie Pajamas and most notable is the fact that they are attracting especially to the youth and are also used specifically for comfort and to create a style statement. Let us delve further into some of the perks these trendy garments present. Stylish and looking good: Onesies are currently looked at more as a style statement rather than a comfort wear. Jumpsuits have gained immense popularity amongst today’s youth as a fashionable and trendy streetwear. There is a plethora of companies that manufacture and deal in onesies and these come in multiple price ranges and designs. Some come with attached hoods as well. Currently, there are designer brands available as well and many celebrities have increased the popularity of wearing the onesie as regular wear by donning this garment in important events and functions and propagating the same. Make your family warmer: Onesie pajamas are also gaining popularity amongst regions that have cold temperature. This is a great way to keep yourself and your family warm. The wearer of the onesie, whether an infant or an octogenarian, can feel bundled inside the pajama and feel cozier to brave the cold temperatures. The way the garment is stitched tends to trap the heat inside it and keep the entire body warm. No better way to feel snug and comfortable after a day’s hard work and go off to sleep! Easy to maintain: Since an onesie is a single garment, it is easy to maintain the same. To provide for more comfort, onesies usually are worn over sized. There is also usually a lot of room to stretch and for increased maneuverability. These garments are known to provide maximum comfort. The ones made from cotton can be easily washed in cold water, either by hand or in washing machines. The ones made by fleece need to be dried carefully by hanging to let the excess water from washing drip off. It is not advisable to wring the fleece-made onesies after washing. Keep the extremities protected: The onesies cover the feet. It is a well-known fact that if the extremities are well covered and warm, this will lead to spread the warmth across the body and in general increase the body temperature. Onesies are the best kind of garment that helps control the body temperature, especially during extreme cold. Also, the underside of the feet of the onesies are usually padded which enables the wearer to walk around the house barefoot and feel comfortable. It also helps protect from any injury that might be caused due to stepping on a sharp object. Cost and time Effective: Though it might sound inane, wearing an onesie can actually save a lot of time and money for the user. Trying to find out a matching set of sleepwear, especially when you are sleeping with a special someone, can be a challenge. Wearing a onesie can eliminate this as you do not have to match one garment with another and can look smart and appealing. Also during winters, the heating cost can come down as you feel more warm and snug inside a onesie.